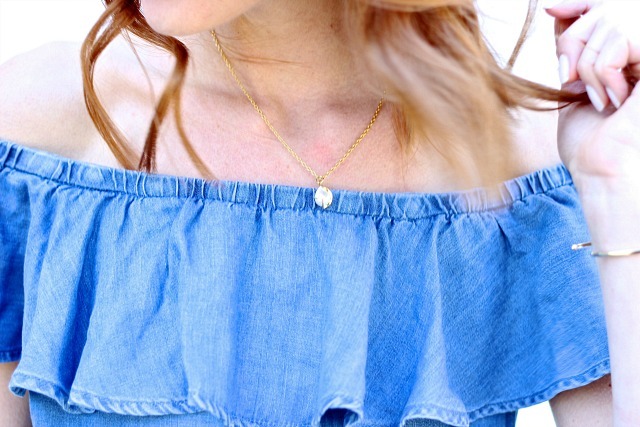 The off the shoulder trend is one I can't get enough off! Tops, dresses, bathing suits-- I want it all! 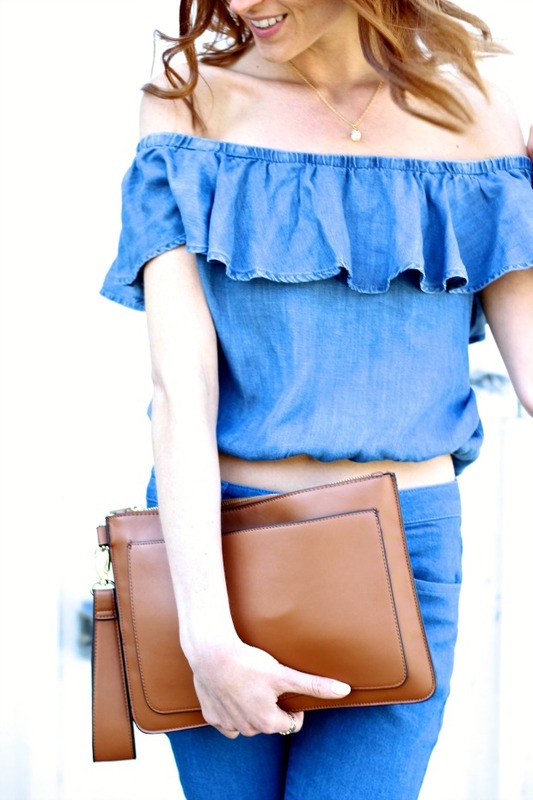 This weekend's perfect spring temperatures had me finally busting out my denim off the shoulder top. 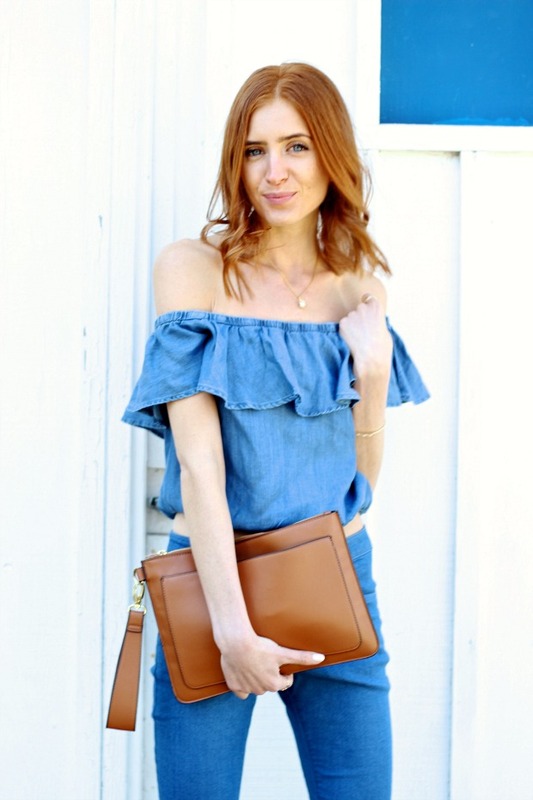 I paired it with more denim, in the form of crops, for a fun, summary, boho inspired look. So denim for days, right!? I also can't wait to pair it with a pair of white denim jeans, which I believe I have finally found the perfect pair (stay tuned!). I love how carefree this top makes me feel and how it just blows in the wind. I can already tell it's going to be the perfect summer piece. I'm also so enthralled with this vintage necklace I picked up at the Miaou Vintage Tea Party, which I'm sure you saw all over Instagram. Miaou had curated a darling collection of home goods, vintage jewelry and even some treats (I also had to take home a tin of Rouge Provence Sloane Tea). Be sure to check out Miaou's online shop and treat yourself to something pretty! OK I know I say this every time, but THIS is my favourite outfit on you! Love the seventies feeling, love the blue, love it all! Thank you lady! I'm loving the 70's vibes this spring! You are just so pretty! I love your hair cut and color, and blue looks great on you! Thanks so much Amy Ann! I just got my hair cut.. It was much needed! Me too! It's so summery! So happy with my necklace purchase, Sabrina! Your shop it just too perfect! I absolutely love this outfit on you!! This outfit is like, Canadian Tuxedo gone glam! Gorgeous! So Canadian Tuxedo! haha Thanks Jackie! Thanks Nikki! I sure hope it does! We need more sunshine! Omgsh - love this combo!